It had a 1950s theme. If you've lived through the worst of what humans can do to one another, do you really care about a little dance you didn't get to attend 60-plus years ago? Oh yes. You absolutely do. 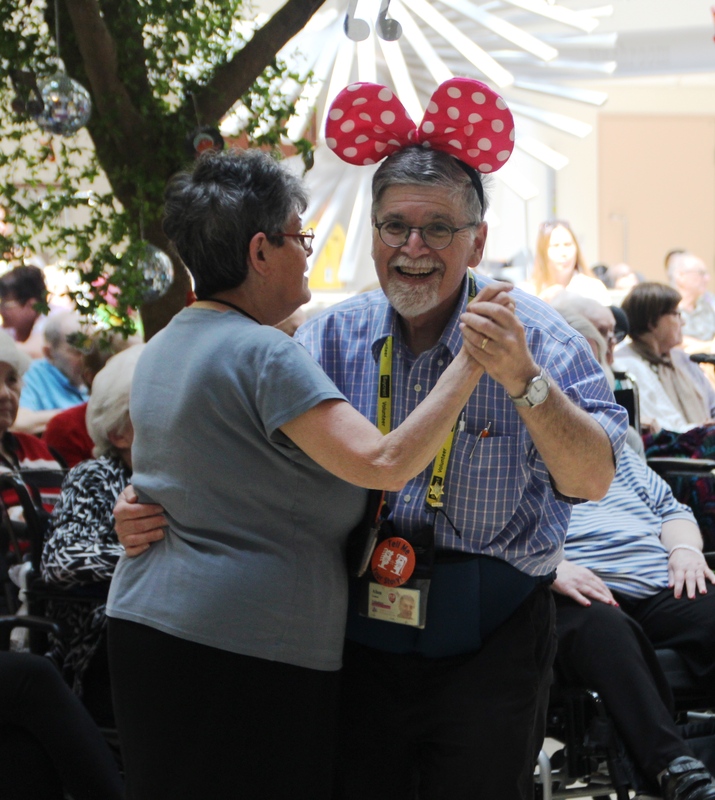 This week at Toronto's Baycrest, the Jewish Home for the Aged, they held a prom for approximately 300 residents, many of whom are survivors of the Holocaust. Baycrest resident and Holocaust survivor Rosa Weisberg (right) sits with husband Sam Weisberg while enjoying the 2017 Baycrest Prom. This is the second year the home has held such an event, with a specific eye to giving the people who live there a chance at this rite of passage so many of them missed out on in their teen years. Keeping that in mind, they also opted for a 1950s theme, complete with an Elvis impersonator, corsages and a photo booth. "It represents an era where there was renewed optimism in the western world; where many immigrants and Holocaust survivors set out to make new lives for themselves after the horrors of the Second World War," explains Cindy Kaizer, therapist and recreation specialist at Baycrest's Arts, Culture and Innovation department. "Also, the music of the 1950s has happy connotations for many residents and clients of Baycrest. Studies are showing that listening to music can bring back positive memories and feelings, which is therapeutic to many in attendance." Baycrest volunteers Alan and Helen Cohen dance at the 2017 Baycrest Prom. According to the Sarah and Chaim Neuberger Holocaust Education Centre, as of 2015, there were approximately 10,000 Holocaust survivors in Canada, though their advanced age means that number has decreased since then. Baycrest is home to one of the largest groups of that population in North America, and that makes them particularly attuned to their unique needs. "When these people were at the age of prom, they were actually slaves," Nechas Jakubowicz, daughter of resident Adela Grinbaum, who was in Auschwitz, told the Toronto Star. Similar events have been put on by various groups in the past, including another Toronto-based one called the Yellow Rose Project. The name for the group, which pairs millennials with concentration camp survivors to increase education, specifically invokes a quote by Auschwitz survivor Franka Kon at the prom in 2011: "I no longer have to wear a yellow star. I can finally celebrate with a yellow rose." Here's hoping they keep celebrating for years and years to come.